The Aquarius String Quartet present a delightful mix of music from Purcell to present day via Haydn and Elgar with spoken introductions by the players. 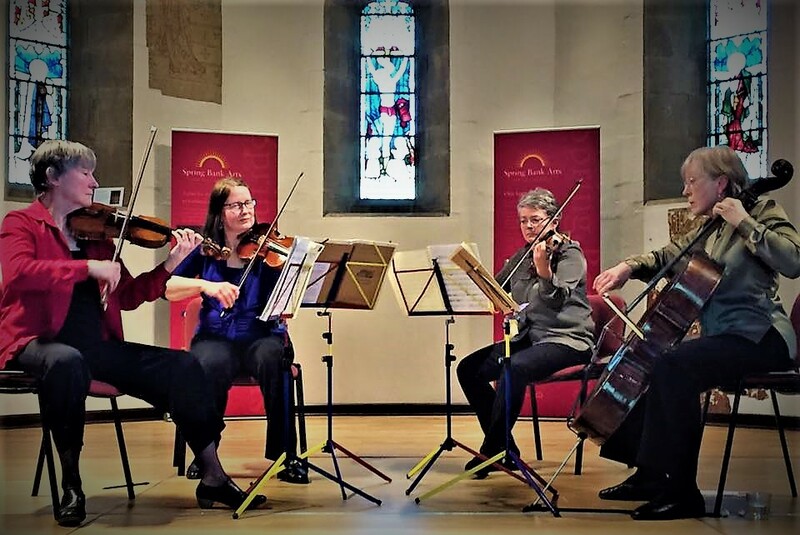 The Manchester based Aquarius Quartet bring you a fascinating journey through the string quartet repertoire from the Baroque style of Henry Purcell to an evocation of Bodnant Gardens composed by viola player, Adrienne Spilsbury. En route they will play you Haydn’s Quartet “The Bird”, and pieces by Elgar, John Ireland and Frank Bridge. The players will guide you along the way with spoken intoductions to all the music.